Throwing a 1920s themed party? As well as making sure you hire a jazz band and keep the champagne flowing, it’s important to call on film and TV for inspiration. The 1920s is one of the most popular decades to show on screen. The First World War was over, revolutions and social movements were brewing, and people were particularly good at cutting loose. It’s the ideal setting for a party, guaranteeing creative costumes and period charm. For some much needed inspiration, here are some ideas from TV and film. Set in smoke-filled, corrupt 1920s Birmingham, Peaky Blinders has been a massive hit with audiences. The show is full of costume ideas – razor sharp haircuts, flat caps, and 1920s charcoal suits. The female characters enjoy their fair share of glamour too, including cloche hats and elegant fabrics. 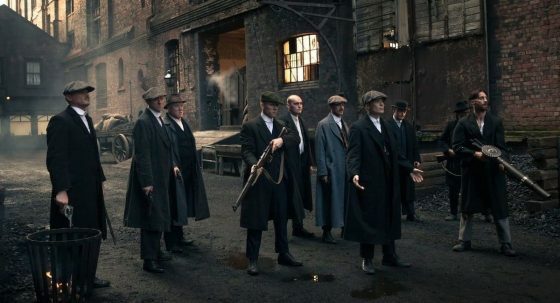 To throw a really authentic Peaky Blinders party, keep your venue a bit rough around the edges, add some superstition, stock up on hard whiskey, hire a jazz band, and expect some criminal underworld-related violence (hopefully not though). This series spanned 1912-1926, so there’s plenty of inspiration to be found. Think elegance, beading, and relaxed waistlines, and for men only white tie or hunting gear will do. 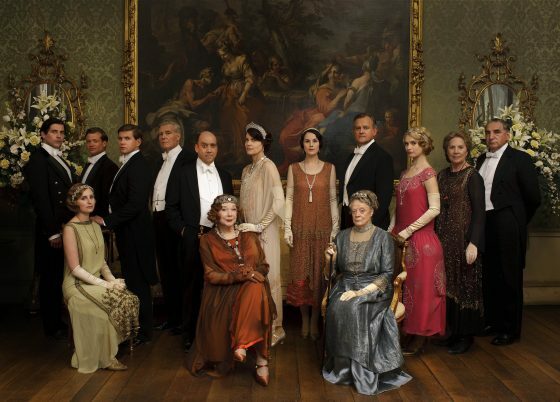 Downton was a very traditional place full of rules and protocol, but even the upper classes liked to party. 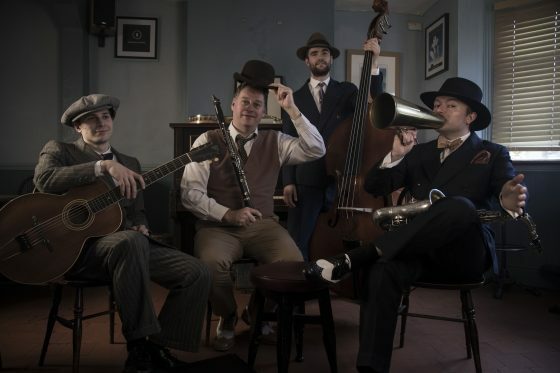 Our band – The Jazz Spivs – have even featured on Downton, so they’re the real deal. 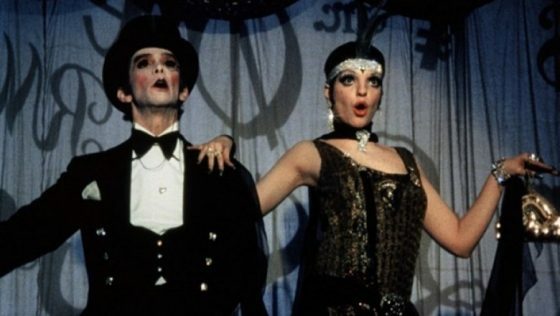 One of the darkest musicals with the catchiest songs, Cabaret is set in one of the most dangerous and unstable periods of recent history – Berlin, 1931. Send your guests back in time by hiring a dingy basement bar, filling it with Berlin’s underground characters, and putting on a show. The best renditions of this show immerse the audience in the Kit Kat Club, so you should hire a jazz band and make sure your guests are lost in history. This HBO show is a masterclass in 1920s tailoring. 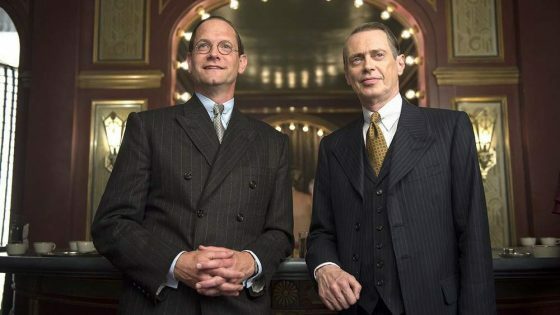 According to the creator, “the clothing on Boardwalk Empire is very specific to a character’s age, geographical location and social standing”. Some are flash, some more traditional, and others want their seams to tell everyone just how much money they’ve got. Boardwalk Empire is set during Prohibition, get ready to fill bathtubs with gin and prepare a secret knock. 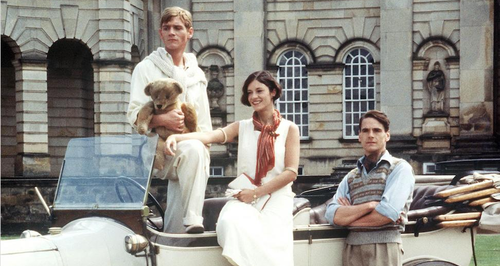 Based on Evelyn Waugh’s 1945 novel, Brideshead Revisited follows the aristocratic Marchmain family and their less blue blooded friend, Charles Ryder. Cue lots of dysfunction, alcoholism, partner swapping, and an adult man carrying around a teddy bear. There’s plenty of inspiration to be found here, just make sure everyone looks and feels fabulously rich for absolutely no reason. Whatever your celluloid inspiration, make your 1920s party complete and hire a jazz band. The Jazz Spivs are our signature 1920s jazz act. They’ve performed at Speakeasy and Prohibition-inspired events, a Peaky Blinders themed party, and even on the screen. Get in touch to discuss your requirements, and create something your guests will remember forever.